Niagara Falls, Ontario is a Canadian city located on the western bank of the Niagara River. The city’s population is just over 82,000 and this number continues to grow as new Canadians continue to make Niagara Falls their home. When entering the country, whether for work or for settling with their families, immigrants coming to Niagara Falls require guidance from leading legal experts. For reliable, trusted advice, people can turn to Matthew Jeffery. Matthew Jeffery is known for his comprehensive understanding of immigration law. One of the reasons so many clients now select his service is that he’s worked directly with Niagara Falls clients for many years and with great success. 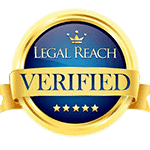 He consistently demonstrates great commitment to his clients and has a strong track record of successfully arguing immigration cases, making him a standout in this field. Clients also seek out Matthew Jeffery’s advice as they attempt to navigate the complex immigration process. He provides assistance with documentation and helps them identify their specific questions about their relocation needs. Matthew Jeffery’s 15 years of direct client experience are backed by a law degree from the renowned Osgoode Hall Law School. Through this education and experience, he has developed a thorough understanding of the wide range of immigration procedures and the very strict guidelines that govern these processes. He’s also helped thousands of international students to enter Canada safely and legally by following helping with their paperwork and ensuring their documents are completed to the legal requirements. Matthew Jeffery and his legal team are committed to helping all clients begin the immigration process with expertise on their side. And this commitment is highlighted by their free assessments. Niagara Falls area residents can now book their free assessment directly with Matthew Jeffery to analyze their immigration case and ensure all documentation is completed according to the legal guidelines before moving the case forward. Matthew Jeffery prides himself on his communication with clients. Clients know they can contact his Niagara Falls offices throughout the day to instantly speak with him or one of his legal experts. Clients can also arrange appointments with Matthew Jeffery on short notice. This helps ensure they’re not left waiting for guidance when challenging immigration issues arise. 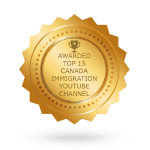 Matthew Jeffery is also an expert within the Canadian immigration appeals process. This means he’s able to help clients respond directly when their immigration application is turned down by Citizenship and Immigration Canada. 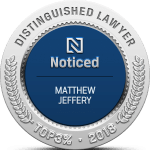 With Matthew Jeffery on their side, new immigrants living in Niagara Falls can move swiftly and successfully forward within their appeals process and prevent mistakes that could cost them their access to life in Canada. It’s the leading service helping foreign nationals build successful lives within Niagara Falls. To learn more on Matthew Jeffery and his expertise, contact his office team directly today.